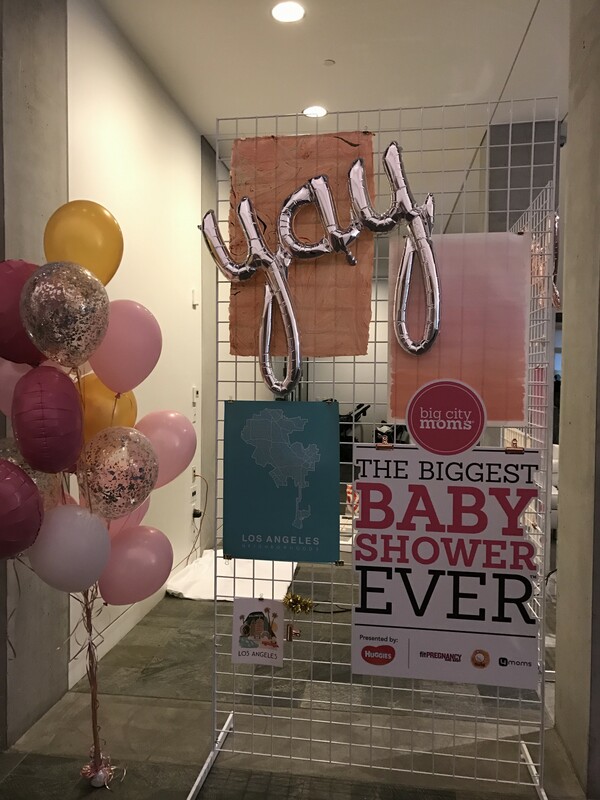 Tuesday night I got the chance to attend the Big City Moms Biggest Baby Shower event at the Skirball Center in Los Angeles. I was a little nervous to go because it was from 5:30-9:30 (aka cranky baby/cluster feeding/only mommy makes me happy time), BUT I’m so glad I did. I diligently pumped all week so there would be extra milk in the freeze and stuffed my Lansinoh Smartpump in my bag, and hoped I would magically not have to use it (because pumping outside the house is the worst!) Lucky for me they had a sweet, comfortable and PRIVATE room set up for nursing and pumping. Pumping aside, I had a great time at the event. It was nice to be out of the house, see old friends and walk around without a baby attached to my chest and a preschooler tugging at my shirt. 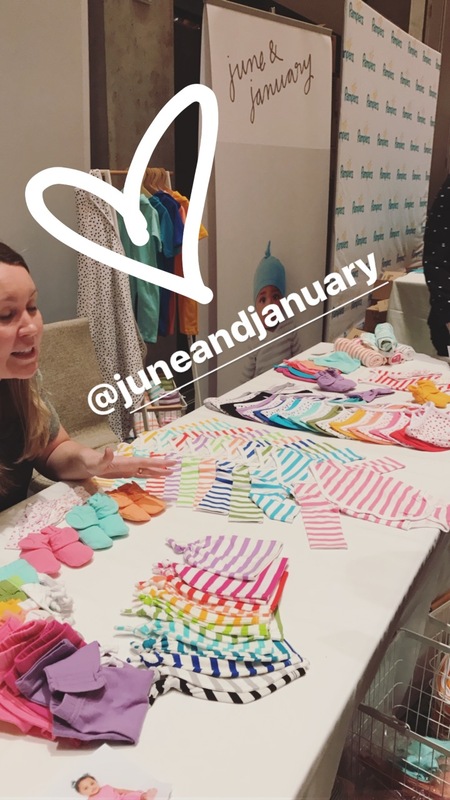 Not to mention there was some seriously cool new baby gear there. It has only been three years since I had my firstborn and already there are things out that I’m left thinking, where was this?! 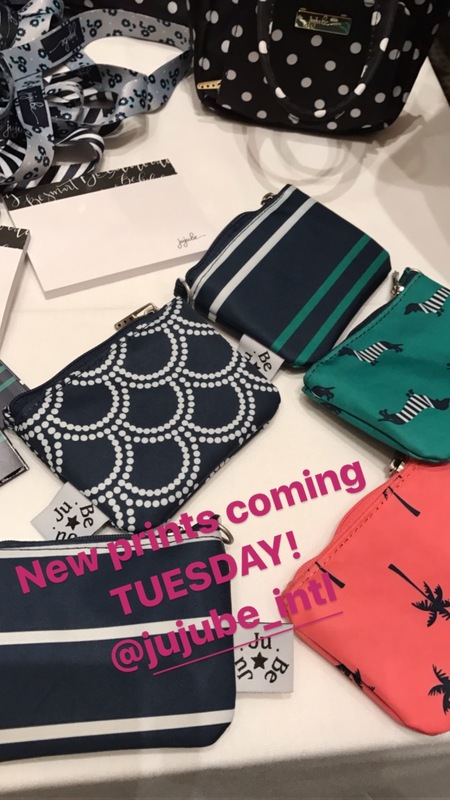 There are diaper bags…and then there are diaper bags that you ACTUALLY want to wear when you don’t have a baby in tow. Right now I’m obsessed with the backpack diaper bag since, well, my baby hates the stroller and the carseat and basically anything other than being strapped directly onto my chest. Some days I’m pretty sure he’d crawl back inside me if he had the chance. Anywho…the backpack diaper bag is seriously solid cause you can easily pop it on and be 100% hands-free while baby wearing and chasing frantically after another kiddo. I didn’t have one with my firstborn and now I’m a FIRM believer in the beauty of the backpack diaper bag. 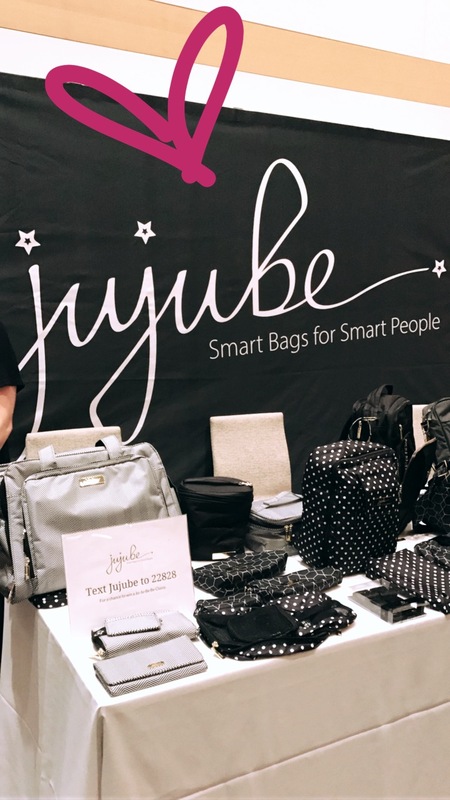 I’m currently obsessed with both the JuJuBe Be Right Back (which has new prints launching next week inspired by the spring runway trends), and ANYTHING from Twelve Little, especially the Companion Backpack in Pewter and the Unisex Courage Backpack in black. 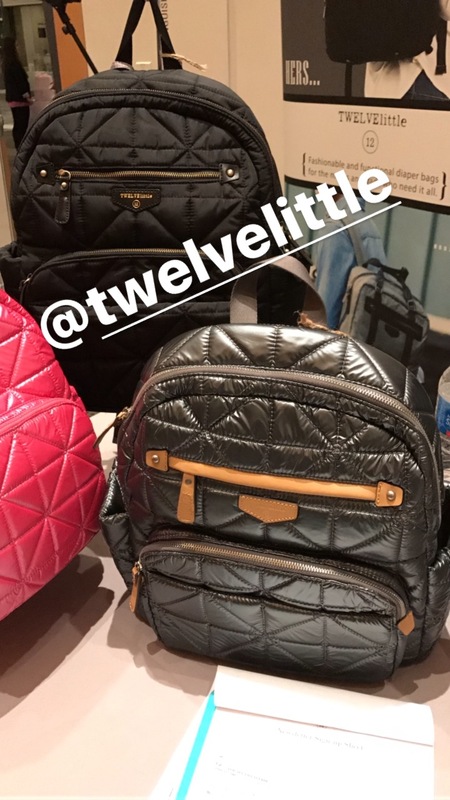 Twelve Little even has matching mini backpacks so you can be twinning with your little ones if that’s your kind of thing. 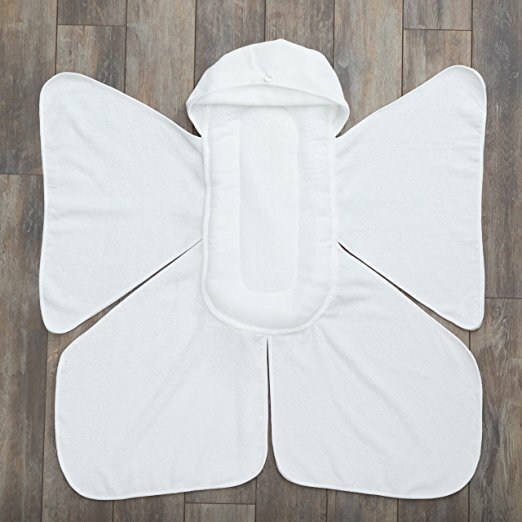 There is a new magical piece of fabric to dry your precious one off after a bath called the Snow Angel by Big Bee, Little Bee. Bathing a baby can be incredibly challenging and stressful, especially when they HATE the bath. So when you have a slippery, wet, screaming angry baby, it’s essential to have a safe and easy way to towel them off ASAP! 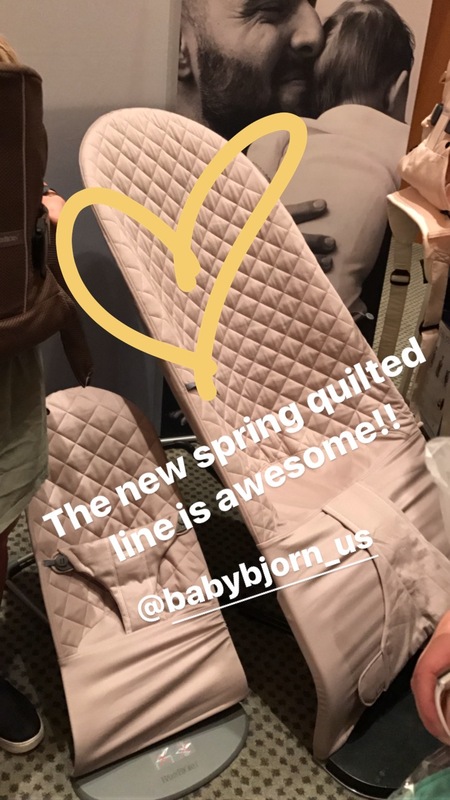 This awesome towel has a padded base and giant panels that allow you to lay your baby down and snuggle up insanely fast. We have been using this towel since our little one was born and I will honestly say it is AMAZING. 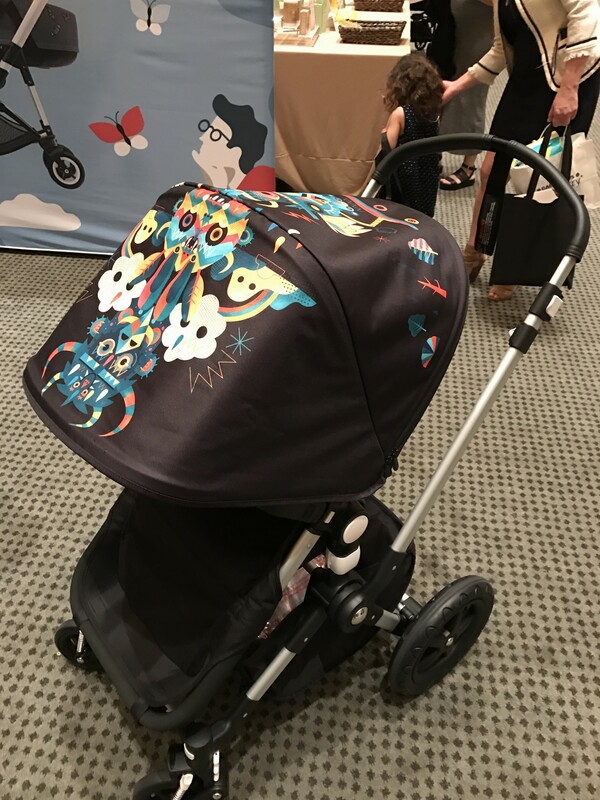 The new Bugaboo Bee5 is the ultimate on-the-go mom stroller. Bugaboo also has a hot new collab with Niark1, a French street artist, coming in April. 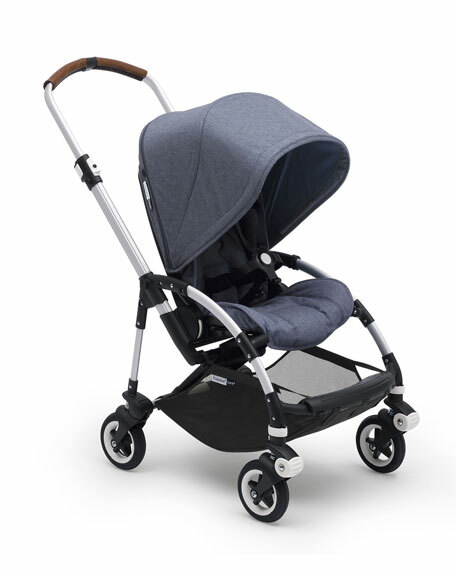 Other new players to the game (in the U.S. at least) are the Inglesina Net Umbrella Stroller with an option for a mesh breathable lining perfect for sweaty little babes on hot summer days. 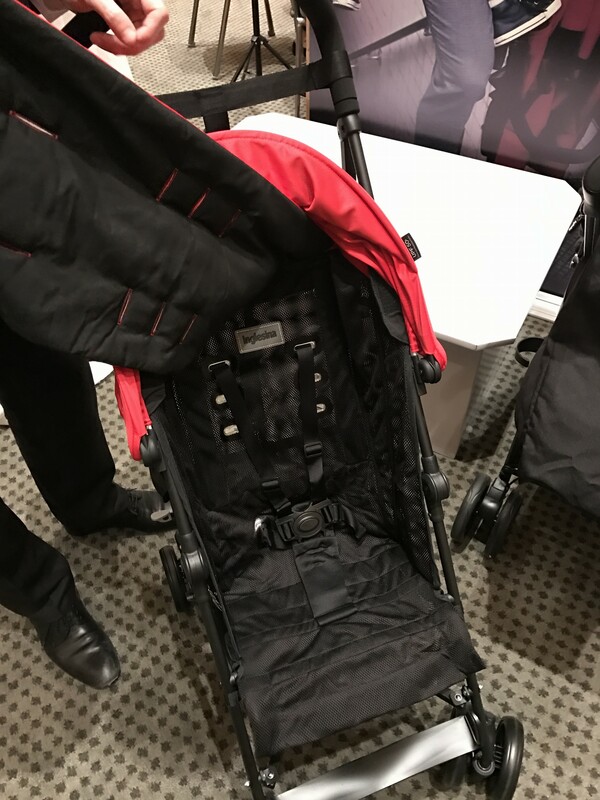 And the Joolz Geo stroller straight out of Denmark with an incredible design that is similar to the Bugaboo Cameleon and Uppababy Vista, but allows you to fold it with the seats attached to the base and allows for the base to be a single or double stroller without additional attachments or increased size. It really is magical! Every mom needs a good ‘mom necklace’ that isn’t made from macaroni. 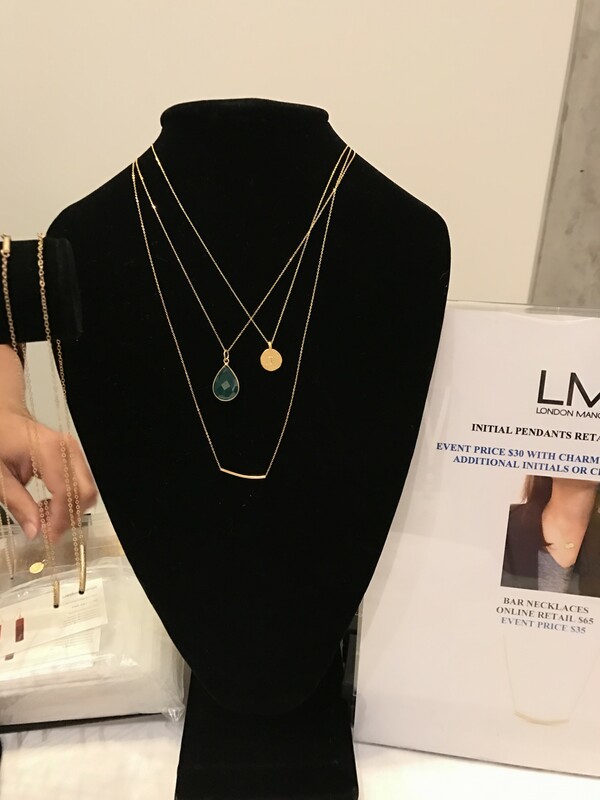 I love this delicate line by London Manori. 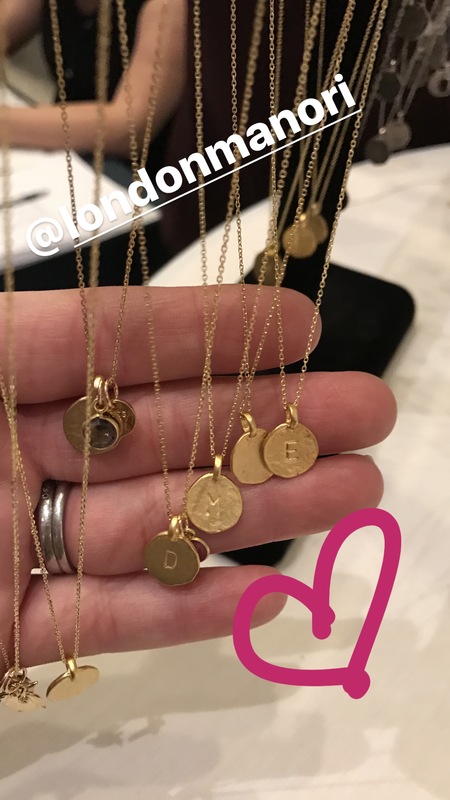 They have beautiful, simple initial charms that can be paired with other necklaces for a current, but meaningful layered necklace look that doesn’t scream “hey I’m a MOM”! 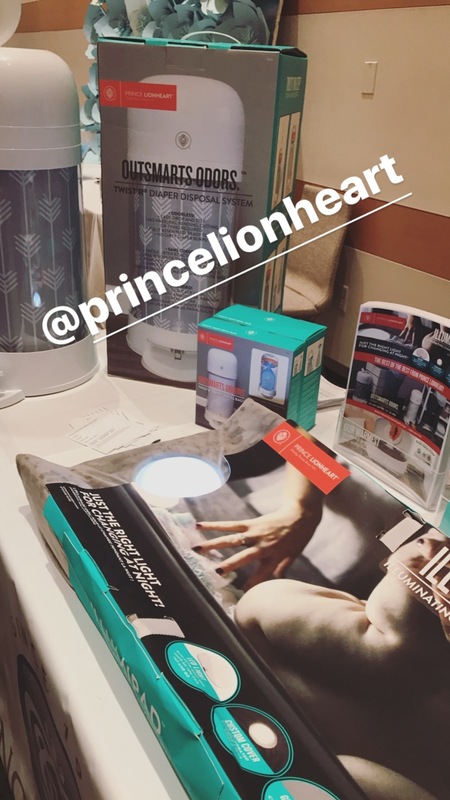 There we tons of other great companies and cool products at the baby shower, like Prince Lionheart with their soon to be released odor free diaper pail and lighted changing pad, Baby Bjorn‘s new quilted update on their classic bouncer, and Halo’s bassinet that swivels 360 degrees, and has every bell and whistle you can imagine from a floor light so you don’t trip over it to a 30 minute breastfeeding timer so you don’t accidentally fall asleep feeding. 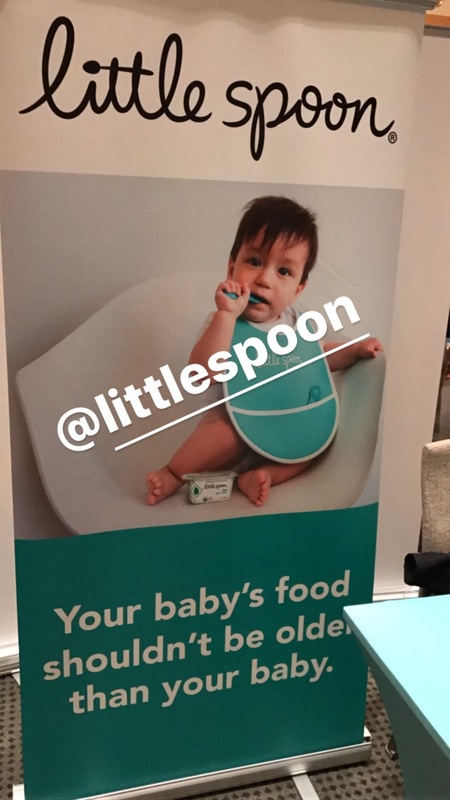 I also even taste tested some great new baby food options like Little Spoon and Organums. 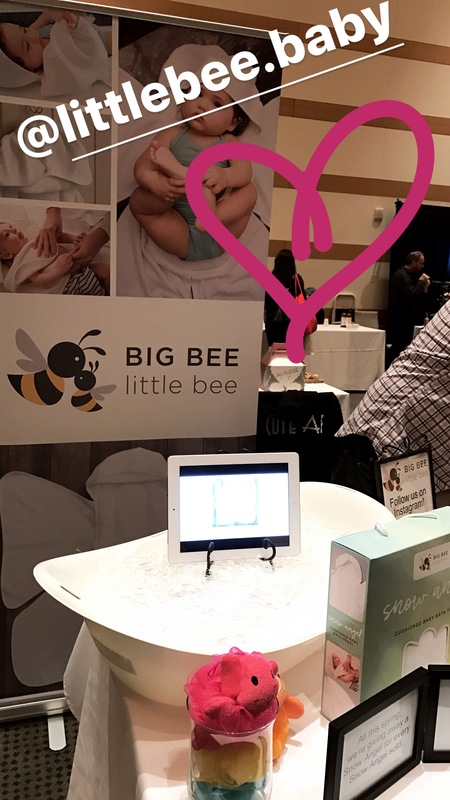 If you are thinking of attending a Big City Moms event, my recommendation is DO IT! The panel speakers were great, there was good food, fantastic vendors offering special discounts for attendees, and a killer gift bag – I seriously had trouble carrying it out to my car there was so much great stuff in it! I had a great time and am definitely grateful for the time out of the house – even if it was still filled with all things baby! Book of the Week: Jesse Bear, What Will You Wear? I went to this event in NYC in 2011!!!! Time flies! It was amazing! I loved the candy bar they had (shocker)! I also loved the massages they were doing! Obviously the guft bags and deals were great too!! I would definitely recommend moms to be to go to this!